Mostly singletrack through jungle. Some dual-use sections and occasional clearings. Lots of good technical/rocky sections and the occasional flow and switchback sections. Ranges from Intermediate to Double Diamond with some bypasses. Look out for big monitor lizards and monkeys. Review: Finally, did it! This trail is a blast. No surprise Red Bull did an article on it a while back. Tremendous fun and had just about everything except for wood bridges. Could build some sweet gap jumps across the creek in the future, maybe? Trail is clean and well maintained, even after a rain it wasn't bad. Some puddles, but you can go around almost all of them. If you're a rider and are in Singapore, this trail is a MUST! Worth the bike rental. Great features and there is a network of other trails by the locals. Watch for hikers on the tail end. You can rent bikes at BYX Bikes, just 100 yards from the trailhead. Review: Love BT. Most popular trail in Singapore. 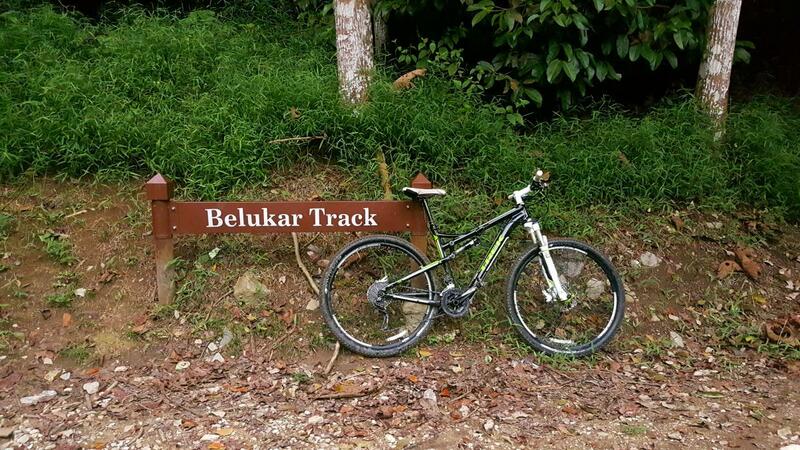 Bukit Timah MTB Trail 4.50 out of 5 based on 2 ratings. 2 user reviews.